Are you seeing a page called OnlineGuardian instead of your forum? Well, you should know that OnlineGuardian helps Forumotion to prevent forums from breaking their Terms of Service. When you were creating your forum you have agreed to the (ToS) Terms of Service. You can view the Terms of Service if you haven't done so already. Here. There are many reasons as to why your forum was banned. Below is the most common reason why your forum is banned. If you think your forum follows the Terms of Service, please follow the steps below. 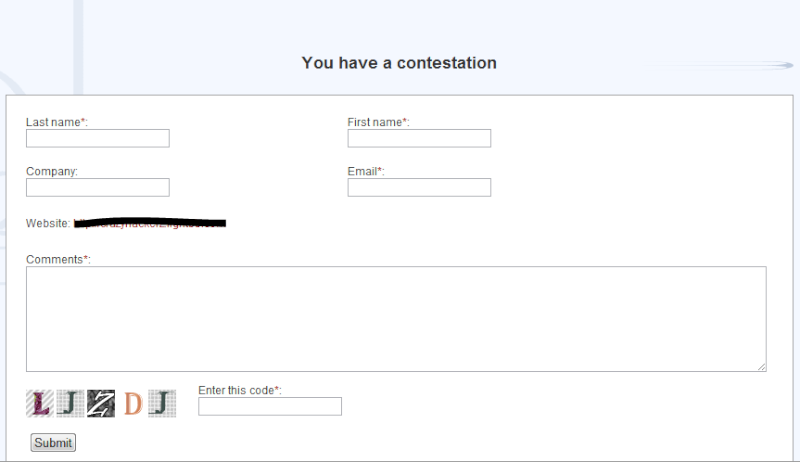 Click the Contest this decision. You will be required to fill out the form in order to be able to contest the ban. If you don't you will not be allowed to contest the ban. Once you fill out the form you will see this message. If you don't get a reply from OnlineGuardian in a few days your request has been refused and you will no longer be able to get the forum back. Please note that once OnlineGuardian bans your forum, the chances of getting your forum back is very slim.